Make your site design unique and truly personal with a wide range of customisation options without writing a single line of code. AWE your users with a clean, airy and pelasing design that is easy & fun to read and navigate. Reduce your bounce rates. Speed, SEO and a Good UX are critical to any business. PageSpeed takes care of them all for you. We ace it in every speed perfromance test. PageSpeed WordPress theme is capable of achieving the perfect / Google PageSpeed score. It takes less than a second on pingdom website speed test. Inlining critical render blocking CSS makes users perceive the sites to be much faster. PageSpeed is planned and executed giving utmost importance to speed. Every line of code in PageSpeed is written with SEO in mind. Important content always comes first in the document. We make efficient use of header tags. PageSpeed's speed combines with our onsite optimization makes sure you get the best SERP's. Watch the video below to find out how much a slow website is costing your business. Less than a second load time and 100/100 in performance grade. 95+ PageSpeed score for both mobiles and desktops. Our demo scores a perfect 100/100. PageSpeed provides it’s neatly organised customisation options in the native WordPress customiser. It allows making changes visually with real time preview. No more back and forth! 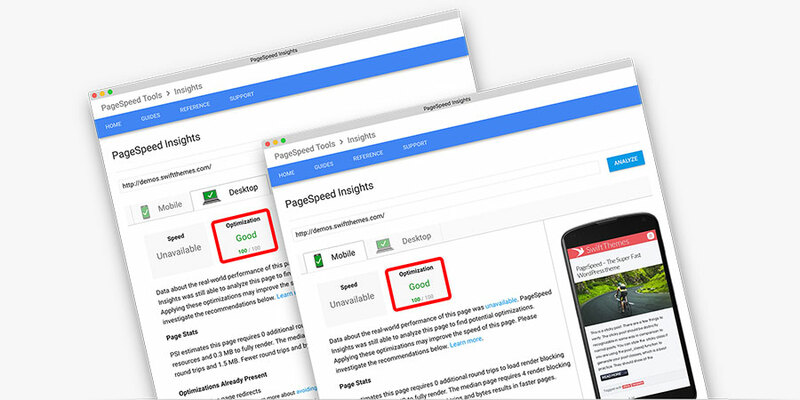 PageSpeed comes with 5 layouts, 3 container styles & 2 widget styles. Giving you a total of 30 styles to choose from. Post/Page meta is the information about post that usually appears around the post titles. Customize it with an easy drag and drop interface. Choose from a range color schemes, fine tune the colors schemes to match your brand with just a few clicks. Use a predefined well thought out typography preset or Choose from 100’s of Google fonts or define your own font stack and use it. Customize the number of footer columns and their individual widths. Hide them on certain pages selectively. Easily change the footer links and copyright text. PageSpeed is built with at-most care, love, passion and with high coding standards to give you the best performance, usability, user experience and SEO to boost your business. 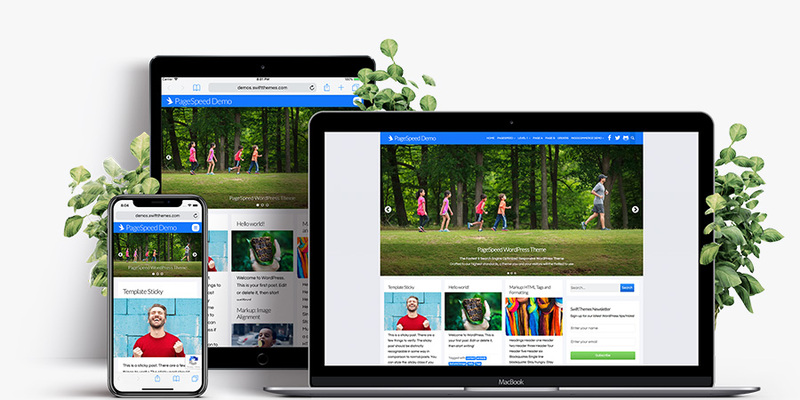 We are proud of what we built and we are sure that you and your users will enjoy experiencing PageSpeed. Getting the perfect Google PageSpeed score is a child’s play and requires less than 20 minutes with the super-lite PageSpeed WordPress theme. With under 20KB of CSS and JS footprint, and no images, we are the fastest WordPress theme out there. Easily achieve less than a second load time. 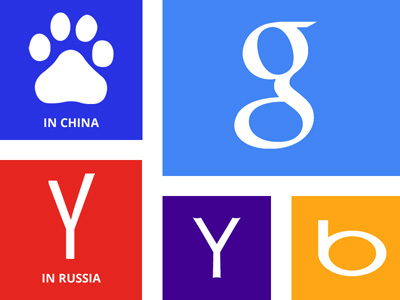 With the raw speed and code optimized for search engines, Google will be mighty pleased. You can be sure of improved rankings. PageSpeed is coded to our highest standards, with performance and Security in mind, we strictly follow WordPress coding standards and best practices. 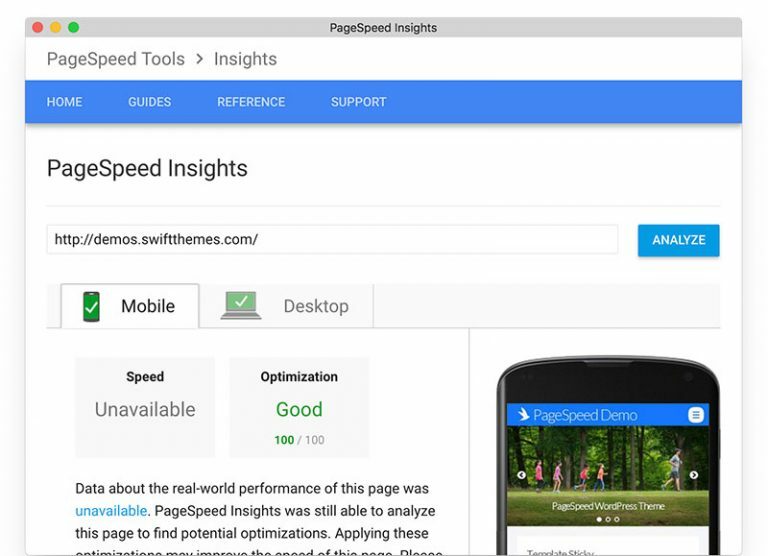 PageSpeed supports Page Builders out of the box. 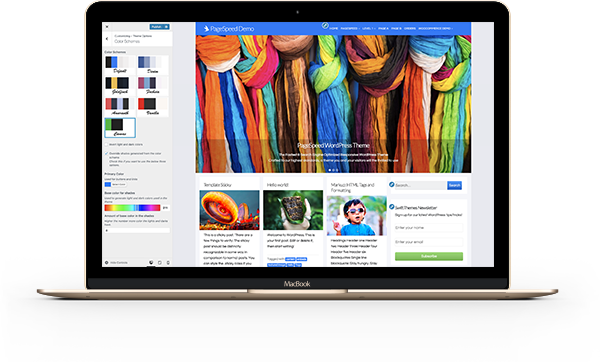 With the rise of page builders like Elemntor and Beaver building business sites have never been this easy. Pick the base colours and PageSpeed will do the rest. Making the design your own has never been this easy. Choose from multiple layouts and header styles. Just pick few colours to make the site match your brand and make the design truly personal. All the layouts are mobile optimised, giving your readers a superior user experience and an app like feeling on mobile devices. Clearly explaining every feature of the theme to make it easy for you to use it and help you get the most out of PageSpeed. 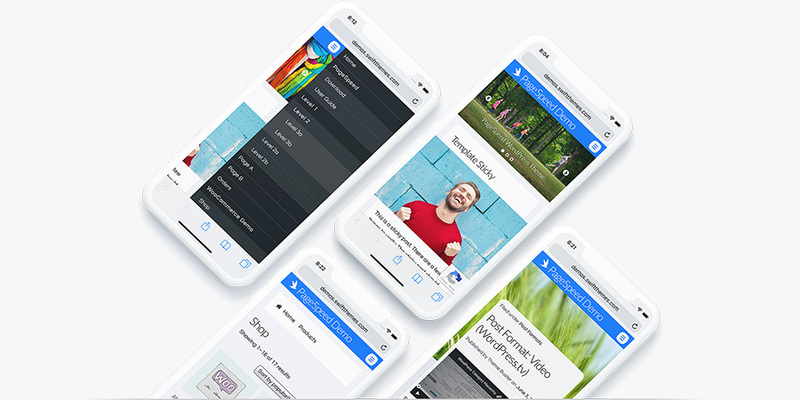 Experience PageSpeed Pro for free for a Month and fall in love with it. Use for a lifetime. Free updates & support for a month. Super theme, with clean, fresh look, and plenty of options. Just what I wanted, with good support being offered, both in the forum and from within the theme. Never once have I had a problem with compatability or support. In fact, the support that I have received has been world class to say the least. Swift has evolved along with my business and is now meeting the needs of our business in a more and more efficient manner as time goes by. Swift and PageSpeed have been and will continue to be our go to theme for our business. Get PageSpeed Pro for free for 3 Months. We are sure you will fall in love with it and purchase the license. Use for lifetime. Free updates & support for three months. Please click the confirmation link sent to your email to activate you subscription.